Weddingstar provides 3000+ wedding items to help create your unique wedding. You may view our free online 2014 Weddingstar magazine page by page for more wedding inspirations, DIY wedding ideas and decorations to fit in your wedding colors and themes (beach, fairy tale, butterfly, love birds, cherry blossom, diamond) with detailed and personalized touches. For Canadian brides, please enjoy the express delivery with one flat $15 shipping fee at http://supergiftplace.weddingstar.com. We are offering 30% discount of all Weddingstar products ( the discount is reflected at the product price list ) at our Weddingstar sister website for a limited time. 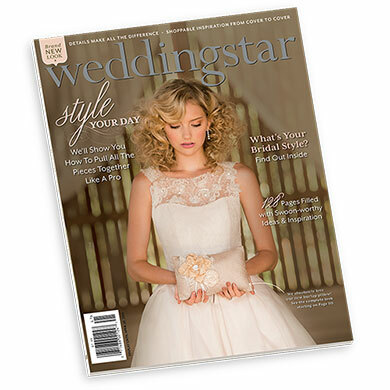 You will find 2014 Weddingstar Magazine at your local bookstore too. If not, you may order it online and we will ship the new 2014 Weddingstar magazine full of wedding planning ideas and tips to your door.